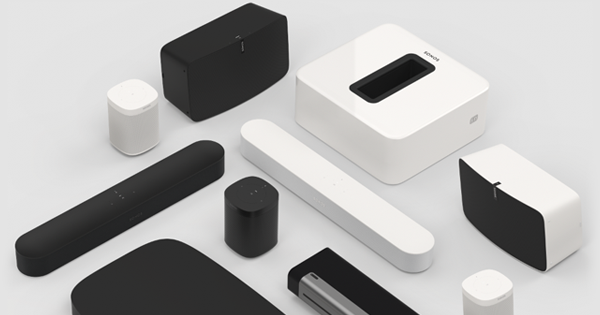 "Sonos Beam is a great sounding, easy-to-use compact soundbar that’s a jack-of-all-trades and very easy to live with"
Create a home cinema system when you wirelessly connect a pair of rear speakers and a Sub to your Beam. Find, start and manage shows and films just by asking with the latest Alexa-enabled video streaming devices such as Fire TV for remote-free control. For compatible TV’s, Sonos Beam introduces commands specific to TV use, including “Turn on the TV” and “Turn off the TV”. 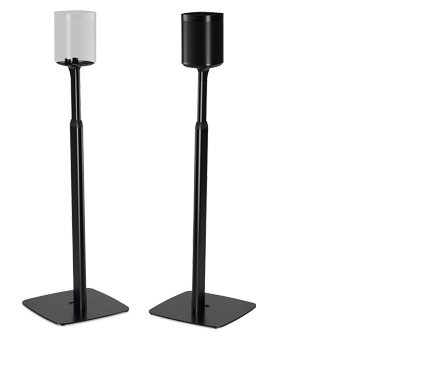 Sonos Beam also takes commands such as “Turn it up” and “Mute” and applies them to the TV volume. 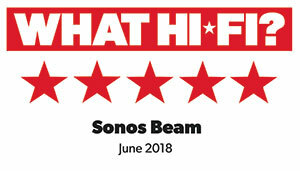 Sonos Beam must be connected to your TV’s HDMI-ARC input and your TV has to support CEC features. Amazon Alexa voice control for your TV will not work if Sonos Beam is connected via optical adapter. 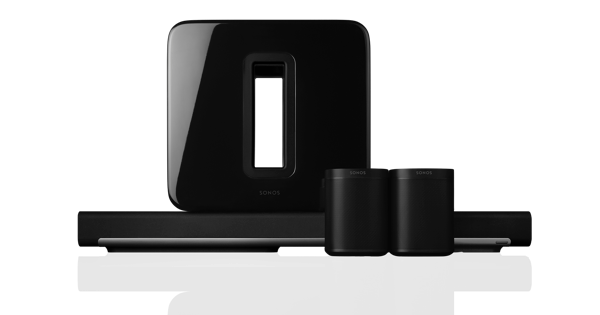 Sonos Beam can be linked to Alexa-enabled video streaming devices such as Fire TV. Once linked, you can control those services with Sonos Beam by saying “Play Catastrophe,” “Switch to ESPN,” or “Tune to channel 500”. If you’ve logged into Netflix or added HBO shows on your Fire TV, you’ll be able to play shows by name, e.g. “Play Stranger Things” or “Play Game of Thrones”.